Dimension Events focuses to bring the best International acts to Australia with the support of our best local talent. Featuring a wide range of music including Psy-Trance, Prog, Techno & Minimal. 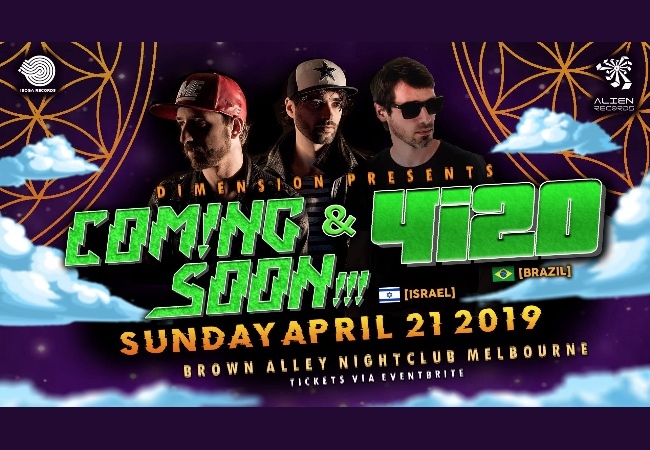 owner of New Kicks Records Dui & Irad are one of the best when it comes to their hard hitting full throttle driving progressive sounds as they often are the highlight for many events playing all over the world with their incredible word class production. Tiago owner of one of the biggest exploding record labels Alien Records is one of the most respected & genuine producers in the progressive scene. His goal within his own music & record label is to focus on "Good Music" as he produces music that connects to his soul and writes as he feels developing some of the best melodies and funky unique progressive tracks resulting in some of the best music and tunes written from Brazil.